Started working in glass in 2003 at the California College of Arts and Crafts (now CCA) in Oakland, CA. 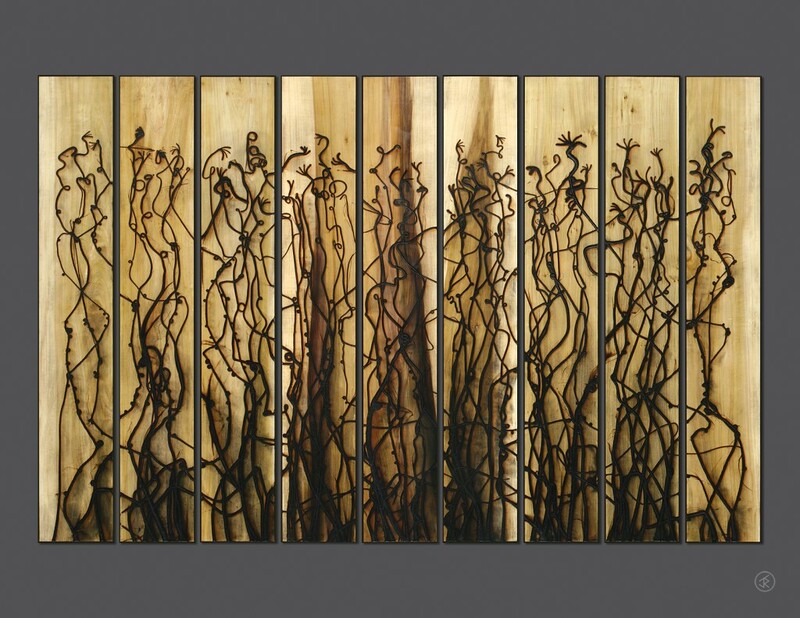 Artist Jonah Ward (b. August 31, 1984) creates artwork that, in its most literal form, are compellingly aesthetic; in its most metaphorical, are a testament to our always relevant interaction with the natural world. 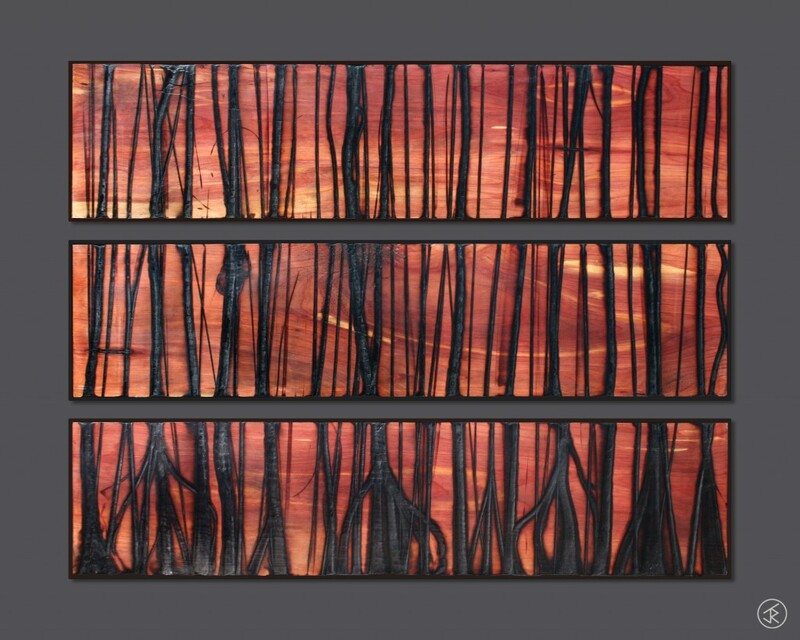 His original and most prevalent series of work is composed of panels of wood stamped with what could be tar-like paint and printed with abstract designs and meanderings. Upon closer inspection, the different woods are scarred with burns: what is left over when Jonah drips, ladles, presses, cools, and peels molten glass from them. The final image essentially becomes a drawing formed with glass. Jonah’s works are as much a product of his education as his background— born on Foster Mountain in Willits, California, raised on a historic homestead at the end of red dirt roads, and educated in a one-room schoolhouse. This intrinsic point of view has influenced his way of thinking as he continues to cultivate a dialog with nature. While requiring sustained physical interaction with natural materials, Jonah’s works are also paradoxically devoid of his literal touch or imprint. He acts more as a facilitator—harnessing natural processes and phenomenon, while still according them their proper respect for their capacity for both incommensurable beauty and destruction. The idea of making a painting or drawing using processes and/or materials that normally wouldn’t fall into that category is very important to him. The final work represents an organization of seemingly chaotic content and situations, yet bound by a sense of structure, a common thread that has become prevalent in all of his work. This entry was posted in 2000s Artists, Artist Bio, California Artists, Conference Presenters by dale_beevers. Bookmark the permalink.